We’re going to dive right in. This part assumes you already have a Facebook Business Page. If you don’t, CLICK HERE for a tutorial. 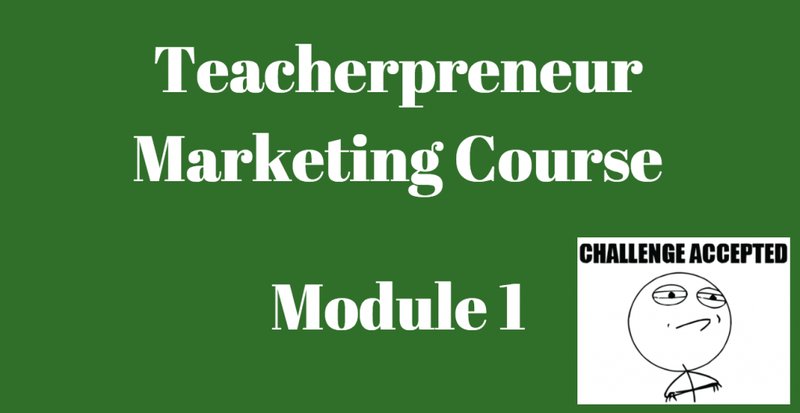 In this module, I’m going to review an extremely important part of marketing – Getting Your Customers’ Attention! It’s something everyone needs but hardly anyone does right. You only have a split second to grab them so you need something great. Simple text won’t do; you need an eye-catch image or video. If you’re nervous about video, I get it. But it’s where the world is going and what Facebook prioritizes. Plus, TPT will soon be rolling out video samples which will be a game-changer for those who are ready. Step 1 – Create a video for any product or post you’ve written. Your video DOESN’T need to include your face or voice but it can. If your product sample is on PowerPoint, you can create a simple product sample video using PowerPoint. Open your sample -> File-> Save As Movie. If you’d like to try something more advanced, use Lumen -> https://lumen5.com or create a video of you describing or showing your product (BEST) using your phone and/or computer. Lumen allows you to paste your blog post URL into their software and they will automatically create a video of it! It’s like magic, plus it’s completely free. You can add background music, text, images from the post, and lots more. If you’re creating a video of your product, keep it simple. Demonstrate your product being used and walk your audience through it. You don’t need fancy lighting, just your phone or computer, and your product. When I’m creating a walkthrough of my product, I typically do so on my computer and use the screen capture program Camtasia. Camtasia is not free but does a wonderful job and is pretty simple to use. You can watch an example of one I created below. Step 2 – Upload your video to YouTube AND your new Facebook Page. Although not quite as eye-catching as video, images are still SO important when marketing a product. Step 1 – Go to Canva.com and create a free account. The reason Canva is so great is that it allows you to work off their huge selection of pre-sized templates. You can also create your own custom dimensions. They also have samples that you can alter, add your own images to, etc., so that it fits your situation. Step 2 – Use Canva to create everything including product images, YouTube thumbnails, Facebook ads, and Facebook covers. The software is very intuitive and completely free to use. I use Canva to create everything above as well as my children’s birthday invites, Christmas cards, and lots more. Plus, you can share your designs with other Canva users. All done! Give yourself a pat on the back and move on to Module 2.